Murchison in WA is super radio quiet which makes it great for radio telescopes. It’s also very hot and very dry which makes precise cooling a real challenge. Temperzone teamed up with Robert Johnson Engineering to provide a unique solution using Hitachi water cooled chillers. 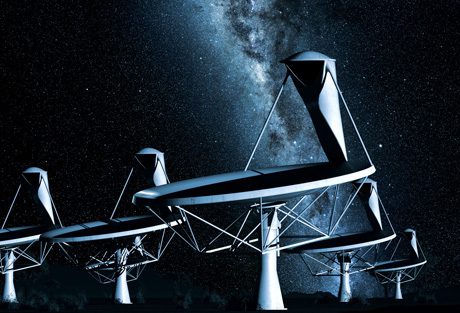 The project is part of the Australia and New Zealand bid for the Square Kilometer Array (SKA) which when built will be the world’s largest radio telescope. It is a very different air conditioning project combining a high profile international project, remote location, difficult environmental conditions and the requirement of precise air conditioning for very high tech equipment. Are you coming to ARBS? We hope you have made the decision to come to ARBS in Melbourne May 7th to 9th. We would like to invite you to meet us at the Temperzone Hitachi stand. You can find us at stand 452, so please come and enjoy a coffee and bite to eat. When a new chiller was required for the Temperzone test facility in Auckland, you would expect us to choose a Hitachi chiller. It’s a great chiller, but what really impressed us that it was positioned and installed in just one day. The latest example of Temperzone’s continued commitment to developing a strong future, despite the current tough economic conditions, is the choice of location for the new Wellington offices.